Writing this recap was surprisingly difficult. I sat down at the computer and the words to explain my feelings just wouldn’t come. So instead I took to my journal and ended up with two pages of stream of consciousness writing that probably wouldn’t make sense to anyone but me. It was a start though. 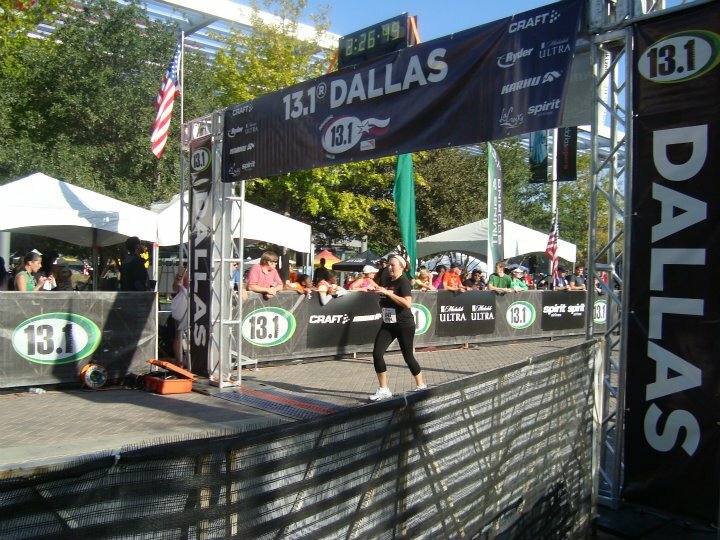 The Dallas 13.1 half was a far different experience than my previous half marathons. 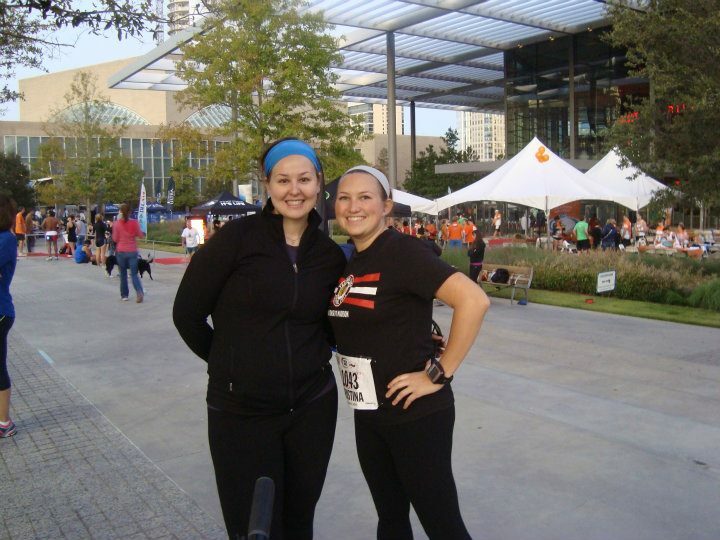 For the first time, I went into the race feeling totally confident and prepared to run the full 13.1 miles. My training had been complete and consistent. I felt myself getting stronger, and I saw myself getting faster (hello multiple 5K PRs!) As you may remember, I was grossly under-trained for my first half marathon, and I trained for my second one using 5 to 1 run-walk intervals. I felt prepared for the Wisconsin half marathon, but I could not have run the entire thing. (Although running the entire race was not my goal anyway.) This time around I knew I was ready to run. I also had my very own spectator in Dallas. I’ve never had someone come cheer me on at a race before. This time I had Laura there cheering me on the whole way. I swear the girl was a ninja with a bike. I’d look up and bam! there she was again. It is an amazing motivator to hear someone calling your name from the sidelines, cheering you on, and making sure you’re doing okay. 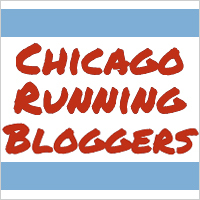 You can check out Laura’s recap of the race from the spectator’s POV here. At the end of it all, I finished the race with such a feeling of happiness and pride. I was proud of myself for completing my first two half marathons, but this time the feeling of happiness and pride was just a little different. I felt like I worked hard and really earned it. My goal for the race was to come in under 2:30, and I managed to crush that goal finishing the race with an official time of 2:24:22, and my time even included a mandatory bathroom spot at mile 11. (Mandatory as in, if I didn’t stop immediately I was going to have a serious issue.) I knocked a full 10 minutes off my previously half marathon time. I think this can be contributed to my efforts, both physical and mental, from the start of training to crossing the finish line. I’ve always known running is more mental than physical, but this proved especially true during this race. 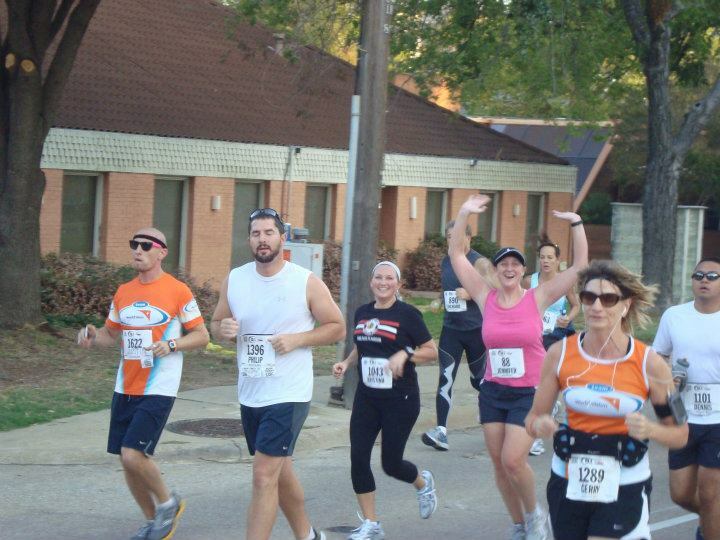 I ran with Laura’s cousin Jennifer for the first 5 miles or so before I pulled slightly ahead of her. I picked pretty much the worst part of the race to pull ahead because shortly after, I encountered (the first) two substantial hills on the course. Running these hills took a great deal out of me, and from that point forward, I was struggling against myself. Physically I was kind of tired since, as I mentioned, hills are the devil I’m not used to hills, but my real issue was mental. I was starting to defeat myself. Running with others is a great distraction from mentally defeating yourself (as is seeing your personal spectator.) Thankfully, I hooked back up with Jennifer shortly after mile 11 and was able to tackle that final mile and murder hill with her and her friend. P.S. Thanks to Laura for all the photos! I’m so proud of you! You did a great job staying consistent and training and it really really helped! I think weight watchers really helped you stay consistent with your exercise because you relied on those activity points for your fuel during training! Another great benefit of being on weight watchers! Thank you! 🙂 You have no idea how much your support means to me.